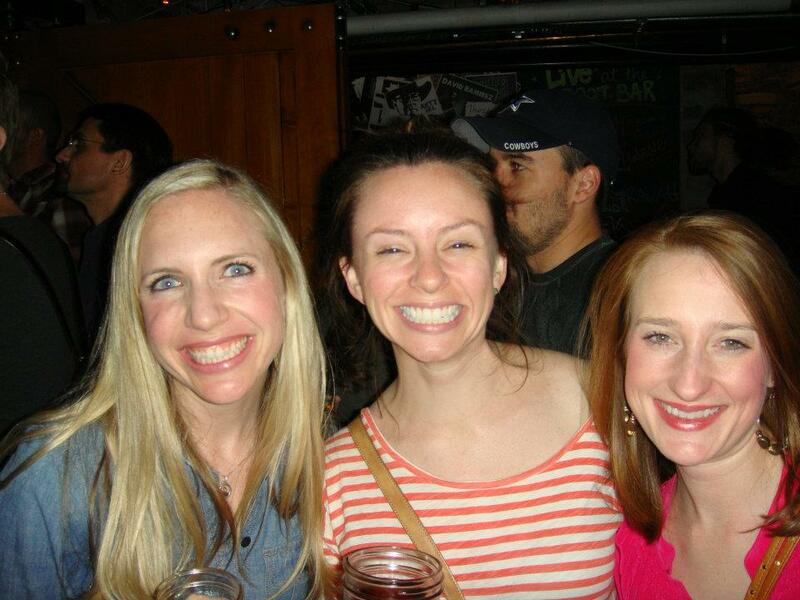 This past weekend started out with some good food and friends at Hill Country. Josh had bought tickets for us to go to a Chris Knight Concert awhile back and the date had finally arrived. I know he was excited about the live music but all I could think about was the FOOOOD! The last time I was at HC I had been doing my "no eating out" thing and it was torture. This time I chowed down on brisket, sausage, potato salad and beans. I think I ate more than Josh! I loved spending time with all of my good friends in an environment that felt like being home in Texas! 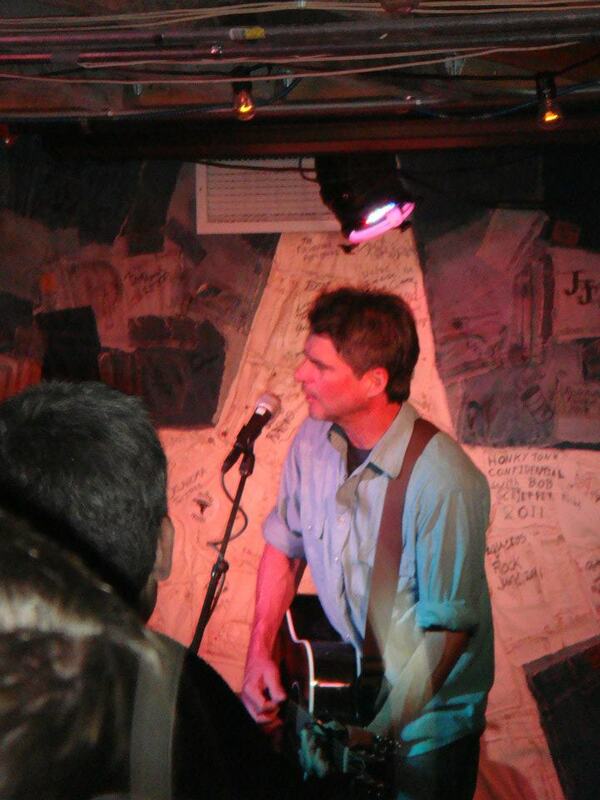 Chris Knight...I only knew one of his songs...but I still had fun! The next day Josh and I were suppose to go to Cross Fit but I had a hangover....not an alcohol induced hangover...a FOOD hangover. I had a headache and my stomach hurt. I did a little too much dammage at HC. I slept late and then Alycyn and I ordered some Chinese food (fix a food hangover with more food) and caught up on our shows. The weather was pretty gloomy so it was a good excuse to let our headaches go away. At about 4pm we decided to go get Georgetown cupcakes. When Alycyn and I first moved here we used to go to Georgetown every other weekend just for cupcakes! The line wasn't the worst I have seen so we decided to stick it out and visited while we waited. After we got our cupcakes, we shopped around Georgetown for a bit, but then it started pouring down rain. So we went over to Josh's house. He made us dinner while we watched a recap of the Royal Wedding. (he pretty much waited on us hand and foot) For dinner we had a Mexican Fiesta of chicken tacos, homemade guacamole, and queso. For dessert we had our cupcakes! The next morning Josh went and played golf and I did some MAJOR spring cleaning. I put together a big box of books to give away, clothes to try to sell, and clothes to donate. I decided to put the box of books out in front of house with a sign that said free while I went to Eastern Market to try to resell my clothes. People in DC are always leaving unwanted things on their stoops and then others are able to pick them up and give them a new home. I was able to resell a good portion of clothes, treated myself to a lemonade, and then went and got a pedicure. When I got back home, I noticed that a lot of my books had already been taken, and I also had a note on my gate. It said that someone had found something I might want in a book and to call them and they would bring it over. I was thinking it was probably a picture or a note. I had looked through all of the books pretty thoroughly...or so I thought. I called Mackenzie (the girl who left the note) and she said she would be right over. I waited for her outside and when she got there she handed me...$100 Dollars CASH! I could not believe it. My mouth literally dropped open. I asked her to please take half of the money because I would have never known it was in there. She was so thoughtful and generous and told me to enjoy it. It was such a perfect example of how good people are, and I was on cloud nine the rest of the afternoon. Thank you Mackenzie! You are truly a good person, and I am so thankful! Later in the afternoon I made cupcakes for one of my coworker's birthday's. After this round of cupcakes though I was seriously sick of sweets! At about 6pm Josh came and picked me up and we headed over to the Northwest side of DC. He had an appointment with a tailor from Thailand, Mr. Roon. Mr. Roon comes to town about once a year and makes custom suits for half the price of all the stores in the area. Plus they are made specifically for the person so they look and fit better. Mr. Roon takes the orders back to Thailand and then ships them to you in about 6 weeks. He has a huge following and came highly recommended. Josh was measured and he ordered 11 shirts, 2 suits, a sports coat, and had another suit repaired. I can't wait for Josh's clothes to come in. He is going to look super sharp and handsome! By the time we got back to Josh's place, I was starving. We ate our left over Mexican food and then got ready for Mad Men and Game of Thrones. The perfect end to a wonderful weekend. Obviously I am overjoyed that I am 100 dollars richer, but the thing that truly made the weekend spectacular was the proof that such good and honest people still exist. On a quick side note, look at this crazy dog! Josh and I saw him when were driving near the Capitol...I thought he was a small bison! Haha!